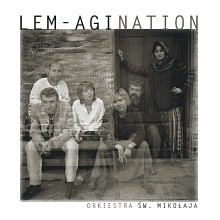 No other region in Poland can match Lemkovyna when it comes to the popularity of musical folklore and its spontaneous expression. No doubt, the magic and history of the Carpathian Mountains, the land of Lemkos, have played their part here, but it is also true that Lemko songs themselves exhibit purely musical and esthetic values. Their unique and nostalgic melodic patterns have their origin in mutual influences of Ukrainian, Slovakian and Polish traditions, closely associated with the musical culture of the entire Carpathian belt and unified with an ancient Wallachian scale, characteristic of the whole Carpathians. Many artists dealing with traditional music, captivated by the beauty of these songs, have included them into their repertoires. Lemkovyna in the Carpathian mountains is a very special place. Only an acute observer will notice here traces of once teeming villages. A patient explorer who, like an archeologist tracking lost civilizations through the successive layers of history, forces the way through seas of brushwood and fields of nettle, will come across old wells, cellars and foundations of houses, wayside crosses, remnants of Orthodox churches, cemeteries… This landscape is an effect of the brutal displacement of Lemko inhabitants carried out in 1940s by Stalinist authorities of Poland. Apart from traces of settlements, the Lemko culture survived the disaster, and now is treasured and preserved by the few who returned to their native soil or made their home in new places. It was the tourists, fascinated by mysterious hills and valleys of Lemkovyna, who turned out to be the most persistent and successful discoverers of the “Lemko Atlantis.” A particular role in popularisation of the Lemko culture was played by ardent mountain hikers from big academic centres. Whenever they could, they escaped into the mountains to enjoy their freedom and get away, at least for a while, from the dreary reality of the Communist Poland. Both students and professors were singing Lemko songs together at evening campfires. At the end of the 1980s, in this atmosphere and environment, emerged St. Nicholas Orchestra.